Instead of announcing a new top tier phone at MWC to help kick of 2018, reports pegged LG at the time as being confused, possibly not knowing what to do with their next major phone. 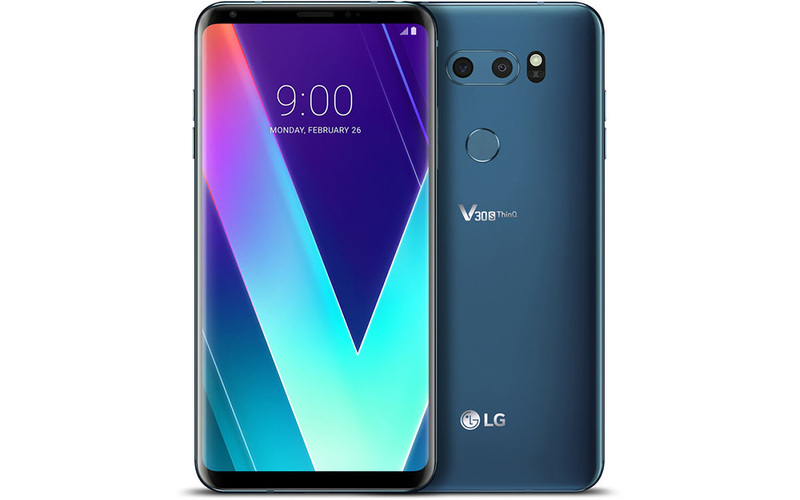 So rather than give us nothing, they re-released the LG V30 and called it the LG V30s. There was no difference between the phones, other than the addition of more RAM and some “AI” smarts within the software that eventually came to the regular V30 anyway. You probably haven’t heard much about the phone because no US carrier picked it up and LG really only attempted to sell it as an unlocked phone. But you probably missed it in that capacity too because it was ridiculously expensive. I’m talking $900+ expensive. Today, though, it’s picked up a heck of a discount at B&H Photo. You can buy an unlocked LG V30s ThinQ for $599.99. Yep, a $330 price drop! This is the Moroccan Blue model, which is stupidly hot and should be the color of all future LG phones. It features 128GB storage (with SD expansion), 6GB RAM, Snapdragon 835 processor, 6″ POLED QHD display, dual cameras, and Android Oreo under LG’s UX skin. This version also happens to be unlocked with support on both CDMA and GSM carriers, so it should work on Verizon as well as AT&T and T-Mobile. The deal is a 1-day only event. If you like LG and hate the G7 with its notch, this isn’t a bad option. Our LG V30 review is right here.